Kularnava Tantra is a main work in the Tantric tradition. The book teaches the Tantric rituals in great details and propounds the basic philosophy of Tantrism, revealing the best aspects of Saktism. The Kularnava Tantra also teaches the doctrine of duties, incorporating the laws of Manu, the Bhagavadgita, and sermons of the Buddha. Besides the work features detailed descriptions of the tantric rituals known as cakrapuja and panca-makara. This English PDF-version was published first time in India in 1916 with a foreword by Sir John Woodroffe. 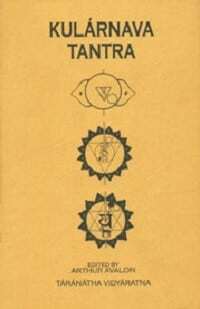 The Kularnava Tantra is a leading and perhaps the foremost Tantra of the Kaula School.